Looking for the best patio furniture for your balcony—price, quality, look, and all? BillyOh Garden Patio Furniture Balcony sets have an ergonomic look that sets them apart from run-of-the-mill sets. Made from the best materials—rattan, wood, or aluminium—our outdoor balcony furniture sets provide the best seating, perfect for afternoon relaxation or small chats. Our balcony sets’ unparalleled durability warrant for a stress-free stay in your deck overlooking your newly-furnished garden. Shop BillyOh outdoor balcony sets now! Get an al fresco fine breakfast and dining experience with the BillyOh Garden Balcony Sets which includes outdoor furniture such as garden and conservatory furniture, patio sets, garden parasols, seater sofas, dining chairs, dining tables, and many more furniture ranges that will complement your garden setting to perfection. If you’re looking for an ideal garden and conservatory home accessories, then look no further because BillyOh can be your buying guide. With BillyOh Garden Balcony Sets, you will surely find the outdoor ideas and inspirations you’ve been looking for. 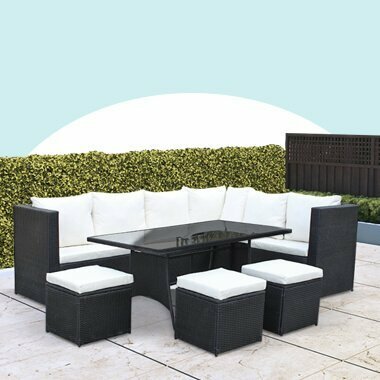 Our garden seating kits feature popular flat weave in brown, white and natural, or you can opt for the round bistro set with a table in the colour brown and cushions included. However, if you wish for wooden chair sets, you can opt for the BillyOh Windsor Square Bistro Set which is made from durable Acacia hardwood.